Nonreparable item. When unserviceable, condemn and dispose of the item at the level of maintenance shown in 3d position of SMR Code. Reparable item. When uneconomically reparable, condemn and dispose of the item at unit or aviation unit level. Reparable item. When uneconomically reparable, condemn and dispose of the item at the direct support or aviation level. Reparable item. When uneconomically reparable, condemn and dispose of the item at the general support. Reparable item. When beyond lower level repair capability, return to depot. Condemnation and disposal of item not authorized below depot level. Reparable item. Condemnation and disposal not authorized below specialized repair activity (SRA). Item requires special handling or condemnation procedures because of specific reasons (e.g., precious metal content, high dollar value, critical material, or hazardous material). Refer to appropriate manuals/directives for specific instructions. c. FSCM (Column (3)). The Federal Supply Code for Manufacturer (FSCM) is a 5-digit numeric code which is used to identify the manufacturer, distributor, or Government agency, etc., that supplies the item. d. PART NUMBER (Column (4)). Indicates the primary number used by the manufacturer (individual, company, firm, corporation, or Government activity), which controls the design and characteristics of the item by means of its engineering drawings, specifications standards, and inspection requirements to identify an item or range of items. NOTE: When you use a NSN to requisition an item, the item you receive may have a different part number from the part ordered. 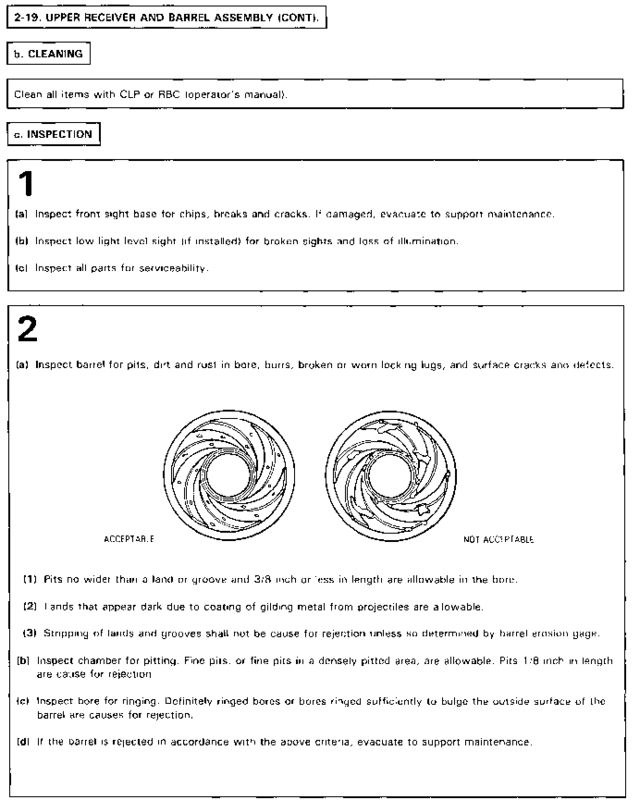 (2) Spare/repair parts that make up an assembled item are listed immediately following the assembled item line entry. (3) NSNs for bulk materials are referenced in this column in the line item entry for the item to be manufactured/fabricated. (4) When the item is not used with all serial numbers of the same model, the effective serial numbers are shown on the last lines of the description (before UOC). (5) The usable on code, when applicable (see paragraph C-5, special information). (6) In the Special Tools List section, the basis of issue (BOI) appears as the last line(s) in the entry for each special tool, special TMDE, and other special support equipment. When density of equipments supported exceeds density spread indicated in the basis of issue, the total authorization is increased proportionately. f. QTY (Column (6)). The QTY (quantity per figure column) indicates the quantity of the item used in the breakout shown on the illustration figure, which is prepared for a functional group, subfunctional group, or an assembly. A "V" appearing in this column in lieu of a quantity indicates that the quantity is variable and the quantity may vary from application to application.